Does wearing a silver ring on your right-hand ring finger mean you're gay? As it does if you are artsy, bookish and "alternative"? A few years back, if you were wearing these kinds of accessories, like rings and earrings, people would point the finger at you for being queer. These days, the description of the quintessential homo has changed to ambiguous at best (and less labeled). We've become so accustomed to seeing Jack from Will & Grace as the standard gay man, that we forget all about his opposite, Will. Damaging stereotypes and generalizations of queers from the older days still linger on today. We gay people are a diverse and broad group of individuals, who come in all shapes and sizes and personalities and dress. 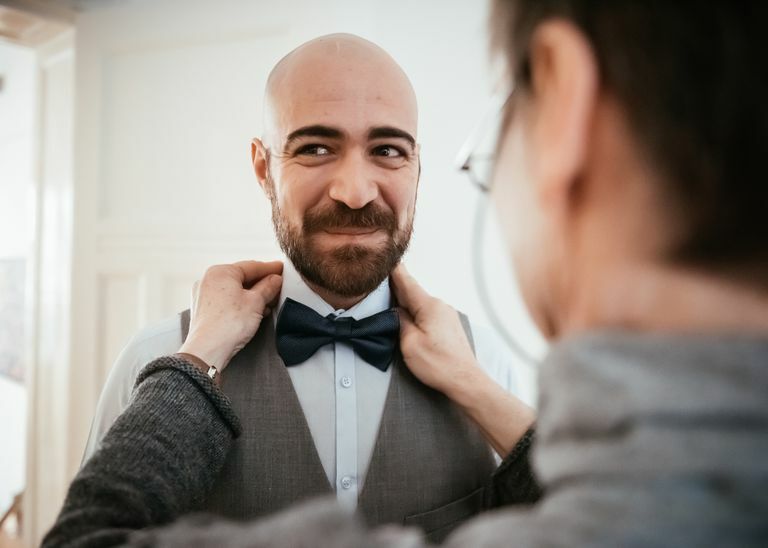 When many people think about gay men, they automatically associate them with certain stereotypes and generalizations, such as feminine behavior or a certain type of clothing. You should know, however, that for every gay man that fits that mold, there is another that does not. Some feel it appropriate to go on these "gay witch hunts" in an attempt to figure out any man that dares wear a pink button down to the company picnic. Should any person be reduced to such superficial characteristics? The lines of gay/straight are forever blurred now that straight men are starting to care about their looks. Walk past any salon and you'll not only see men in the manicure seat but you'll notice a full line of services for men. Haven't you also noticed the onslaught of male fashion mags and billboards? These things aren't marketed towards an exclusive group of gay men. Companies are seeking the growing number of men (straight or gay) that prefer a close shave over a smelly "me-a-man" bum. Straight men are now wearing the latest hairstyles, high-end threads, and jewelry. My straight cousin spends more time in the mall than I do! Now back to the ring on the finger. Nowadays, when a person wears a ring on their right-hand ring finger, it means that he wants to dress up his appearance a bit and that's the only place his favorite ring fits. Besides, his only other alternative may have been the left-hand ring finger, which (as you know) is reserved for the wedding band. Many decades ago, some gay men would use left and right side signals to indicate their sexuality or preferences in bed. This was back in the days surrounding Stonewall when being gay meant an instant beat down or arrest. We had few choices but to use Bat Signals to find each other. These indicators, though no longer used today, lived on and spread outside of the gay community. They eventually developed into perhaps one of the silliest stereotypes about gay men. Every man was terrified that if they got their ear pierced on the wrong side they would be tagged a homo. Thankfully, times have changed and being gay has become less taboo. Those indications of sexuality have gone south as well. Right, left-hand rings; tight, loose pants; tall or short frame- there is no universal sign a person is gay. If your friend's sexuality baffles you, then the best way to tell if he is gay is to ask him.